Told through a mixture of voiceover and dialogue delivered directly to camera, with portrait style photography and an atmospheric soundtrack, Patriarch’s simple but distinct visual style perfectly compliments the punchy dialogue of Yates’ narrative (as well as directing, Yates also wrote the film). Shot in glorious black and white, every frame of Ben Spence’s lavish monochrome cinematography could easily be frozen and shown in a portrait exhibition. 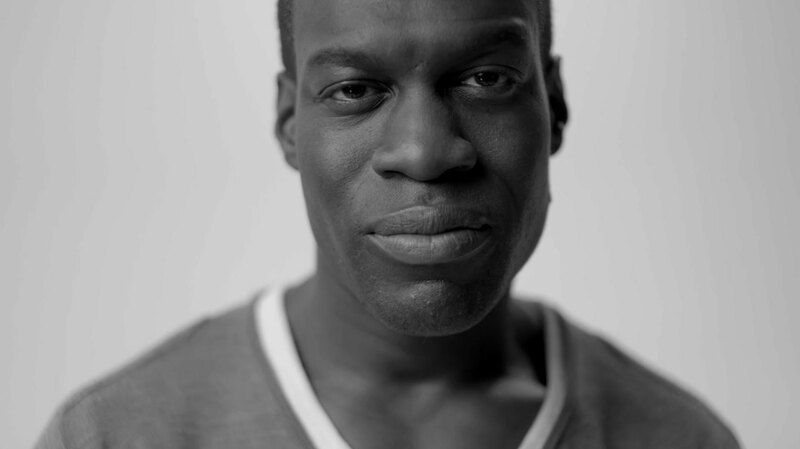 Featuring just three performers, Trevor Laird, Ansu Kabia and Kareem Onyiukah, playing three different generations of the same family, Yates elicits strong performances from each of his cast members – with a silent, yet powerful turn from Laird being particularly impressive. As directorial debuts go Patriarch is a strong introduction into a new format for its creator and we’ll be keeping a close eye on the multi-faceted Yates to see if he makes any other inroads into the world of filmmaking in the near future.